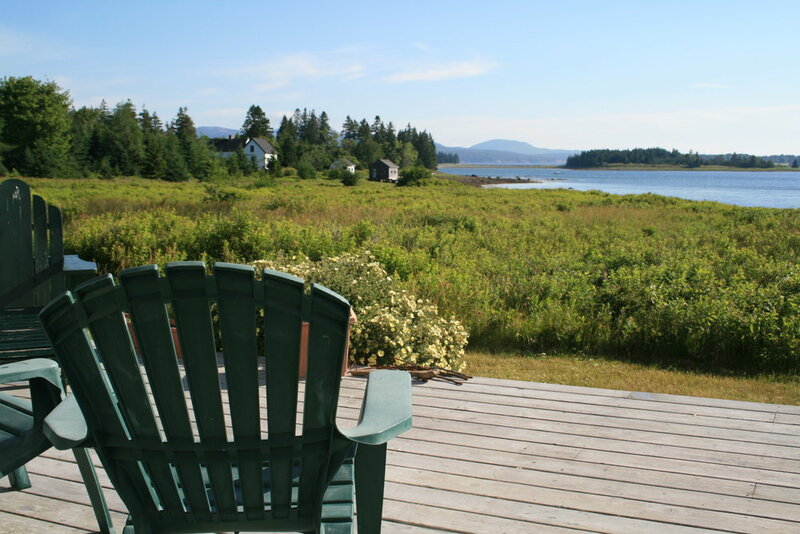 Our cozy island home has some of the most magnificent views of Acadia and Mount Desert Island that you will find around! Cranberry island is a peaceful island made up of country lanes, fishing harbors and rock-strewn shores. The welcoming community includes a general store, library with free internet access, and a church. The local lobstermen will be glad to sell you their day's catch for dinner! 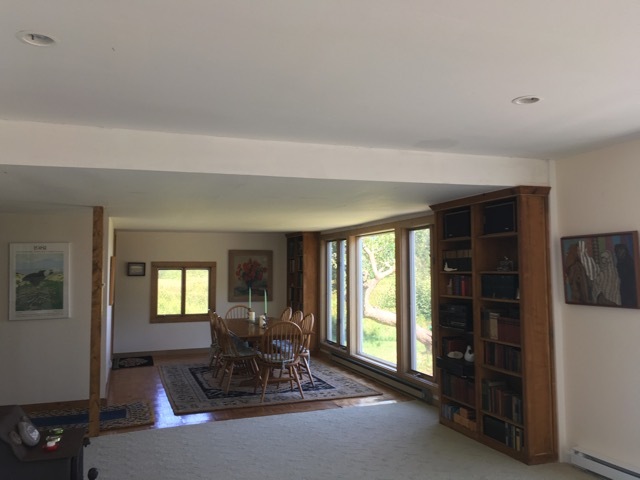 Our cozy home features a spacious living area with french doors opening on to a large deck. The dining room has spectacular views of Mt. Desert Island right across the water! We also have a fully-equipped kitchen, laundry room with washer/dryer, and a full bathroom with shower, all downstairs! 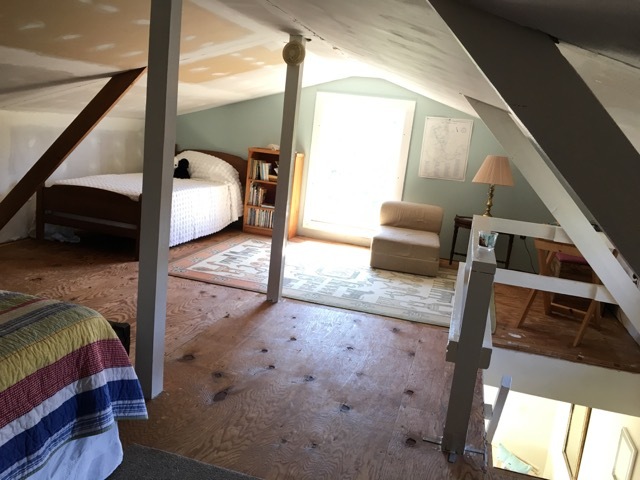 The Master bedroom features a queen bed with breathtaking views. 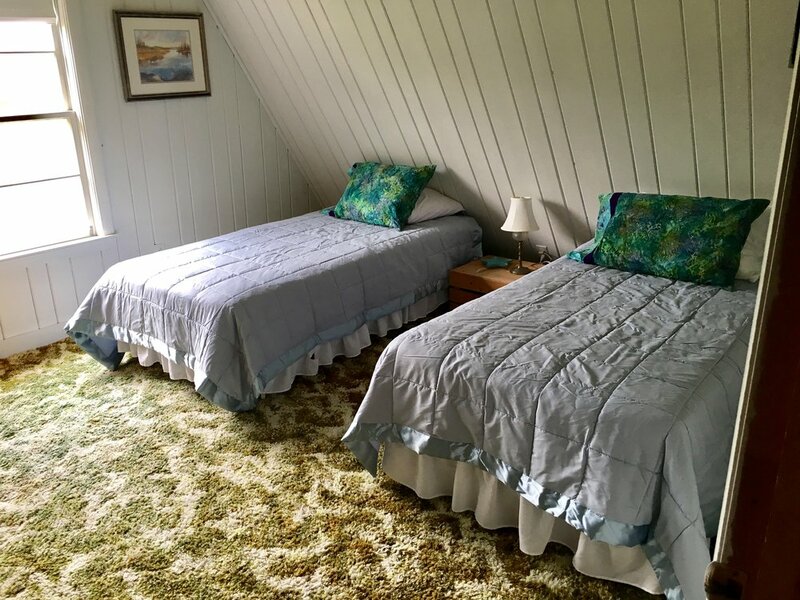 A second bedroom has two twin beds, and a large dormitory style room features a twin and full bed.